Counted Cross Stitch Kit with Chart, Embroidery Fabric: 100% linen, Yarn: 100% cotton DMC, 12 threads (6 stitches)/cm - 30 count, Yarn organizer, Instruction in eight languages, Large-square charted design, Needle, Frontsheet picture, ca. 33 x 43 cm / 13.2" x 17.2", Age category: from 15 years, Stitches: french knot, cross stitch, long stitch.. 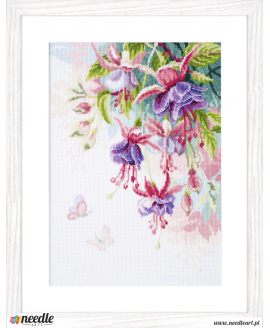 Counted Cross Stitch Kit with Chart, Embroidery Fabric: 100% cotton, Yarn: 100% cotton DMC, 10,5 threads (5,2 stitches)/cm - 27 count, Yarn organizer, Instruction in four/ eight languages, Large-square charted design, Needle, Frontsheet picture, With pearls, ca. 32 x 34 cm / 12.8" x 13.6", Age category: from 15 years, Stitches: cross stitch, back stitch.. Counted Cross Stitch Kit with Chart, Embroidery Fabric: 100% linen, Yarn: 100% cotton DMC, 12 threads (6 stitches)/cm - 30 count, Yarn organizer, Instruction in four/ eight languages, Large-square charted design, Needle, Frontsheet picture, ca. 41 x 26 cm / 16.4" x 10.4", Age category: from 15 years, Stitches: half cross stitch, cross stitch, back stitch.. 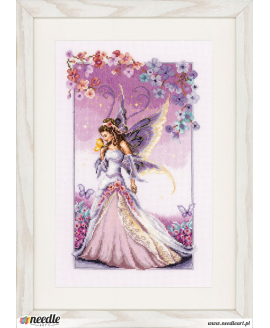 Counted Cross Stitch Kit with Chart, Embroidery Fabric: 100% cotton, Yarn: 100% cotton DMC, 10,5 threads (5,2 stitches)/cm - 27 count, Yarn organizer, Instruction in four/ eight languages, Large-square charted design, Needle, Frontsheet picture, With pearls and metallic threads, ca. 30 x 41 cm / 12" x 16.4", Age category: from 15 years, Stitches: french knot, half cross stitch, cross stitch, back .. Counted Cross Stitch Kit with Chart, Embroidery Fabric: 100% linen, Yarn: 100% cotton DMC, 12 threads (6 stitches)/cm - 30 count, Yarn organizer, Instruction in four/ eight languages, Large-square charted design, Needle, Frontsheet picture, ca. 30 x 40 cm / 12" x 16", Age category: from 15 years, Stitches: cross stitch, long stitch.. Counted Cross Stitch Kit with Chart, Embroidery Fabric: 100% linen, Yarn: 100% cotton DMC, 12 threads (6 stitches)/cm - 30 count, Yarn organizer, Instruction in four/ eight languages, Large-square charted design, Needle, Frontsheet picture, ca. 36 x 46 cm / 14.4" x 18.4", Age category: from 15 years, Stitches: french knot, half cross stitch, cross stitch, back stitch.. 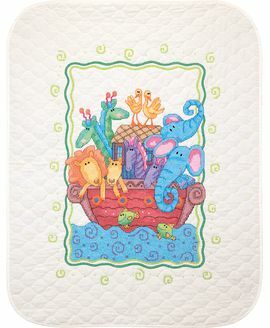 Counted Cross Stitch Kit with Chart, Embroidery Fabric: 100% cotton, Yarn: 100% cotton DMC, 10,5 threads (5,2 stitches)/cm - 27 count, Yarn organizer, Instruction in four/ eight languages, Large-square charted design, Needle, Frontsheet picture, ca. 44 x 34 cm / 17.6" x 13.6", Age category: from 15 years, Stitches: cross stitch, back stitch.. Counted Cross Stitch Kit with Chart, Embroidery Fabric: 100% cotton, Yarn: 100% cotton DMC, 10,5 threads (5,2 stitches)/cm - 27 count, Yarn organizer, Instruction in four/ eight languages, Large-square charted design, Needle, Frontsheet picture, ca. 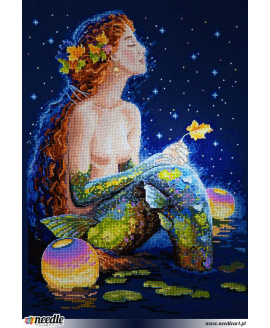 29 x 39 cm / 11.6" x 15.6", Age category: from 15 years, Stitches: half cross stitch, cross stitch, long stitch, back stitch.. 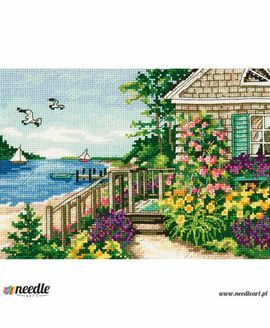 Counted Cross Stitch Kit with Chart, Embroidery Fabric: 100% cotton, Yarn: 100% cotton DMC, 5,4 stitches/cm - 14 count, Yarn organizer, Instruction in four/ eight languages, Large-square charted design, Needle, Frontsheet picture, ca. 20 x 50 cm / 8" x 20", Age category: from 15 years, Stitches: cross stitch, long stitch.. Counted Cross Stitch Kit with Chart, Embroidery Fabric: 100% linen, Yarn: 100% cotton DMC, 12 threads (6 stitches)/cm - 30 count, Yarn organizer, Instruction in four/ eight languages, Large-square charted design, Needle, Frontsheet picture, ca. 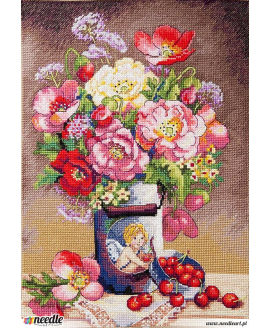 29 x 29 cm / 11.6" x 11.6", Age category: from 15 years, Stitches: half cross stitch, cross stitch.. 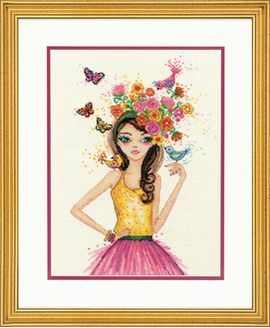 Counted Cross Stitch Kit with Chart, Embroidery Fabric: 100% cotton, Yarn: 100% cotton DMC, 10,5 threads (5,2 stitches)/cm - 27 count, Yarn organizer, Instruction in four/ eight languages, Large-square charted design, Needle, Frontsheet picture, With pearls and metallic threads, ca. 30 x 41 cm / 12" x 16.4", Age category: from 15 years, Stitches: french knot, half cross stitch, cross stitch, long .. Counted Cross Stitch Kit with Chart, Embroidery Fabric: 100% linen, Yarn: 100% cotton DMC, 12 threads (6 stitches)/cm - 30 count, Yarn organizer, Instruction in four/ eight languages, Large-square charted design, Needle, Frontsheet picture, ca. 25 x 25 cm / 10" x 10", Age category: from 15 years, Stitches: cross stitch.. Counted Cross Stitch Kit with Chart, Embroidery Fabric: 100% cotton, Yarn: 100% cotton DMC, 10,5 threads (5,2 stitches)/cm - 27 count, Yarn organizer, Instruction in four/ eight languages, Large-square charted design, Needle, Frontsheet picture, ca. 33 x 40 cm / 13.2" x 16", Age category: from 15 years, Stitches: cross stitch.. Counted Cross Stitch Kit with Chart, Embroidery Fabric: 100% cotton, Yarn: 100% cotton DMC, 10,5 threads (5,2 stitches)/cm - 27 count, Yarn organizer, Instruction in four/ eight languages, Large-square charted design, Needle, Frontsheet picture, ca. 35 x 35 cm / 14" x 14", Age category: from 15 years, Stitches: cross stitch.. Counted Cross Stitch Kit with Chart, Embroidery Fabric: 100% cotton, Yarn: 100% cotton DMC, 10,5 threads (5,2 stitches)/cm - 27 count, Yarn organizer, Instruction in four/ eight languages, Large-square charted design, Needle, Frontsheet picture, ca. 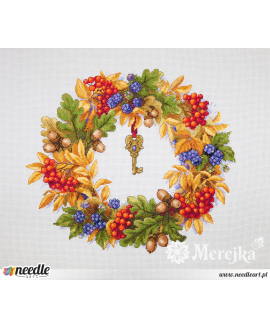 40 x 49 cm / 16" x 19.6", Age category: from 15 years, Stitches: cross stitch.. Counted Cross Stitch Kit with Chart, Embroidery Fabric: 100% linen, Yarn: 100% cotton DMC, 12 threads (6 stitches)/cm - 30 count, Yarn organizer, Instruction in four/ eight languages, Large-square charted design, Needle, Frontsheet picture, ca. 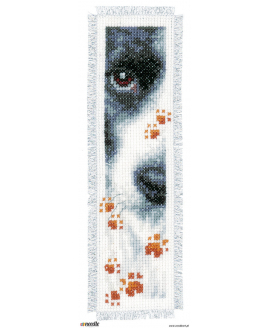 53 x 38 cm / 21.2" x 15.2", Age category: from 15 years, Stitches: half cross stitch, cross stitch.. 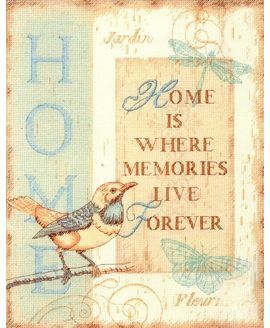 Counted Cross Stitch Kit with Chart, Embroidery Fabric: 100% cotton, Yarn: 100% cotton DMC, 10,5 threads (5,2 stitches)/cm - 27 count, Yarn organizer, Instruction in four/ eight languages, Large-square charted design, Needle, Frontsheet picture, ca. 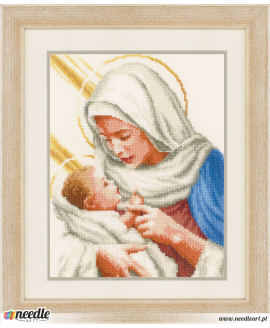 39 x 29 cm / 15.6" x 11.6", Age category: from 15 years, Stitches: french knot, cross stitch, long stitch, back stitch.. 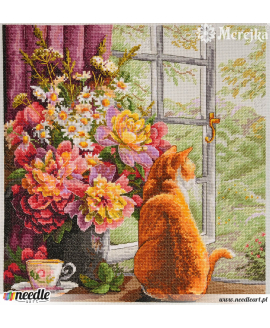 Counted Cross Stitch Kit with Chart, Embroidery Fabric: 100% cotton, Yarn: 100% cotton DMC, 10,5 threads (5,2 stitches)/cm - 27 count, Yarn organizer, Instruction in four/ eight languages, Large-square charted design, Needle, Frontsheet picture, ca. 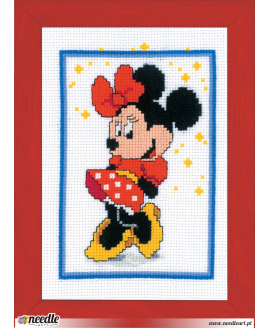 19 x 26 cm / 7.6" x 10.4", Age category: from 15 years, Stitches: cross stitch.. Counted Cross Stitch Kit with Chart, Embroidery Fabric: 100% cotton, Yarn: 100% cotton DMC, 10,5 threads (5,2 stitches)/cm - 27 count, Yarn organizer, Instruction in four/ eight languages, Large-square charted design, Needle, Frontsheet picture, ca. 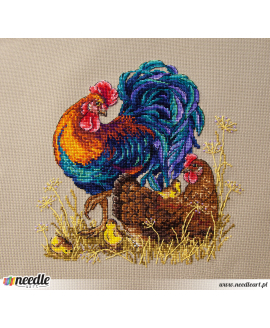 38 x 45 cm / 15.2" x 18", Age category: from 15 years, Stitches: french knot, cross stitch, long stitch, back stitch.. Counted Cross Stitch Kit with Chart, Embroidery Fabric: 100% linen, Yarn: 100% cotton DMC, 12 threads (6 stitches)/cm - 30 count, Yarn organizer, Instruction in four/ eight languages, Large-square charted design, Needle, Frontsheet picture, ca. 34 x 43 cm / 13.6" x 17.2", Age category: from 15 years, Stitches: french knot, cross stitch, back stitch.. Counted Cross Stitch Kit with Chart, Embroidery Fabric: 100% linen, Yarn: 100% cotton DMC, 12 threads (6 stitches)/cm - 30 count, Yarn organizer, Instruction in four/ eight languages, Large-square charted design, Needle, Frontsheet picture, ca. 30 x 30 cm / 12" x 12", Age category: from 15 years, Stitches: cross stitch, long stitch, back stitch.. 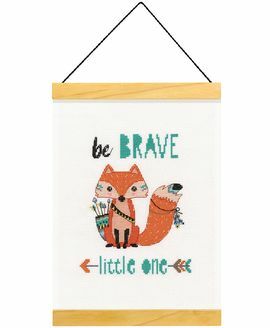 Counted Cross Stitch Kit with Chart, Embroidery Fabric: 100% linen, Yarn: 100% cotton DMC, 14 threads (7 stitches)/cm - 35 count, Yarn organizer, Instruction in eight languages, Large-square charted design, Needle, Frontsheet picture, Background subtly printed, ca. 33 x 38 cm / 13.2" x 15.2", Age category: from 15 years, Stitches: cross stitch, long stitch, back stitch.. Counted Cross Stitch Kit with Chart, Embroidery Fabric: 100% cotton, Yarn: 100% cotton DMC, 10,5 threads (5,2 stitches)/cm - 27 count, Yarn organizer, Instruction in four/ eight languages, Large-square charted design, Needle, Frontsheet picture, ca. 23 x 28 cm / 9.2" x 11.2", Age category: from 15 years, Stitches: cross stitch, back stitch..